Last week we attended the Washington Business Journal’s Best Places to Work awards ceremony. We had an amazing time sharing the evening at the MGM with some of the Washington area’s top employers. We’re proud to announce that our team was recognized as one of the top 15 places to work in the region (small businesses)! Shout-out to the Van Eperen team for creating a great work environment! Meghan and Harry aren’t the only ones tying the knot recently. A couple of our team members also had some big life moments this spring. We couldn’t be happier for Emily McDermott for her recent engagement and Debra Buck for her wedding. Congratulations and best wishes to both of you! 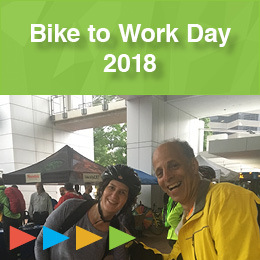 Though faced with a week-long rain, Bike to Work Day 2018 was a success and our transportation marketing practice had a great time participating. 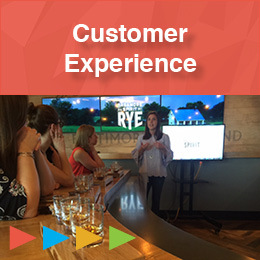 Lastly, managing partner Jeff Davis shares insights on the latest “customer experience” buzz from a recent research project with a client.